Swell Bottle sells water bottles and other hydration solutions made out of recycled and sustainable materials, available in a variety of different styles and configurations. 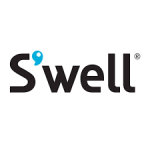 Customers can choose from anyone now 100+ design or upload their own graphic elements to customize their new water bottles direct from Swell Bottle. Businesses and organizations can also partner with this company to come up with branded promotional water bottles, though they will have to meet specific order minimum requirements before these limited-edition runs can be produced. Sign up for the free email newsletter this company provides to get a 10% off coupon towards the first order placed online.